Deputies of the 14th National Assembly will start three-day question-and-answer session on October 30 during their ongoing sixth session. Cabinet members, the Chief Judge of the Supreme People’s Court and head of the Supreme People’s Procuracy will be questioned on the implementation of the NA resolutions on thematic supervision and their performance from the beginning of the NA’s 14th tenure. In the morning, NA Chairwoman Nguyen Thi Kim Ngan will deliver a speech opening the session. 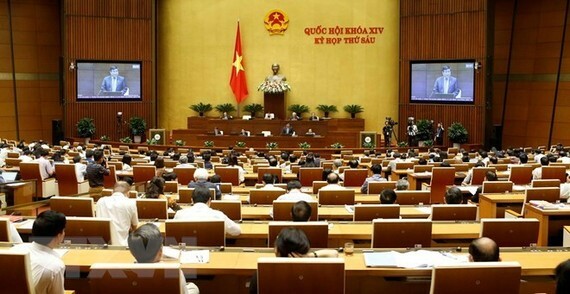 The deputies will listen to a report by Deputy Prime Minister Truong Hoa Binh summarising the realisation of NA resolutions and supervision work, along with reports on NA committees’ performance so far. Chief Judge of the Supreme People’s Court Nguyen Hoa Binh and head of the Supreme People’s Procuracy Le Minh Tri will also deliver their reports. At the end of the question-and-answer session, Prime Minister Nguyen Xuan Phuc will clarify a number of issues of the Government’s responsibilities and answer questions by NA deputies. The session will focus on the performance of the Government so far, analysing reasons behind shortcomings and seek solutions.